I am stuck on a limitation of my SC2’s cross slide travel. Whilst the swing (clearance over bed) on my lathe is impressive, the travel on the cross slide is quite limited In comparison. 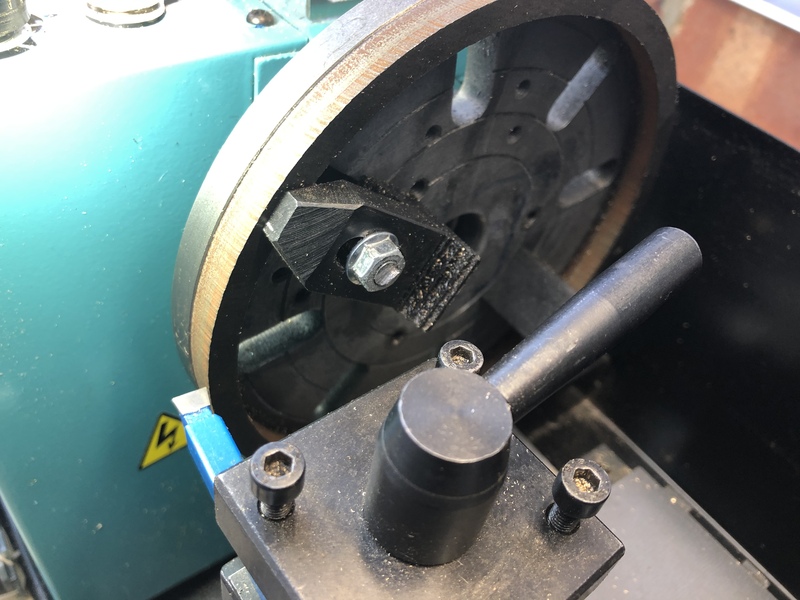 In fact the space from the inside edge of the tool post to the centre line of the chuck is roughly 50mm. 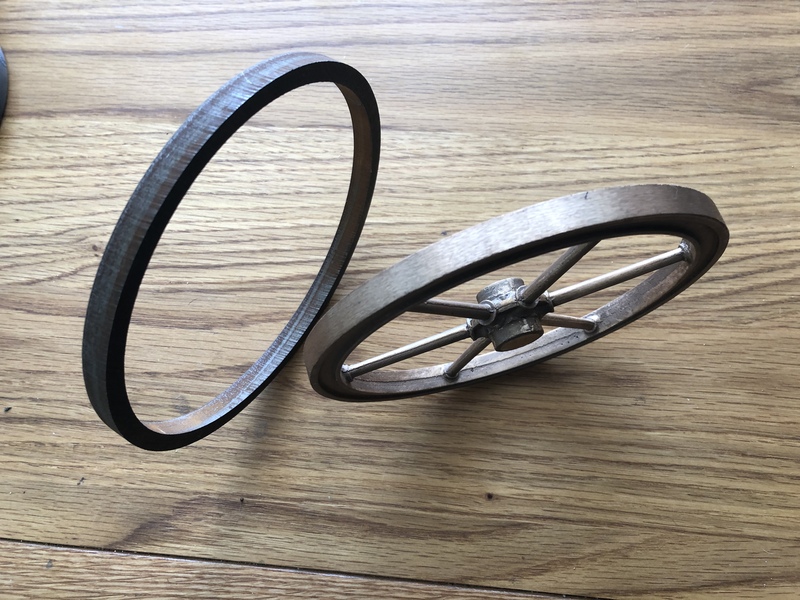 So anything over 100mm in diameter cannot be turned on its O.D. even though there is about 90mm radius capacity. 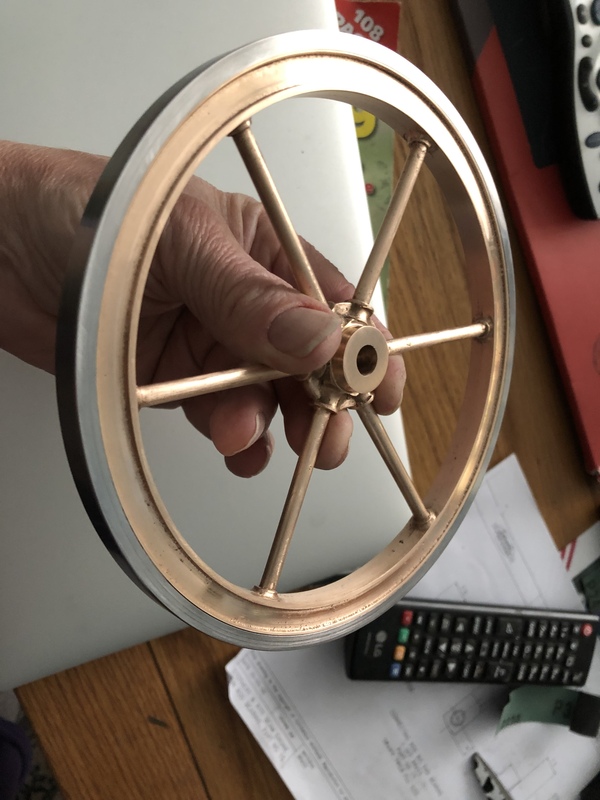 It seems like quite a waste, full 80mm of unusable potential diameter that cannot be turned. I encountered this limitation yesterday when I tried to turn the O.D. 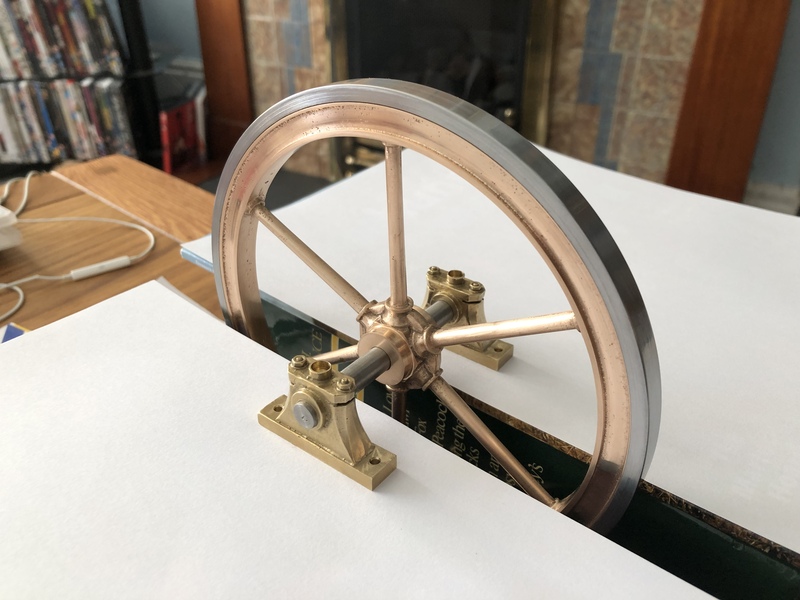 of a flywheel to a steam engine I am building. 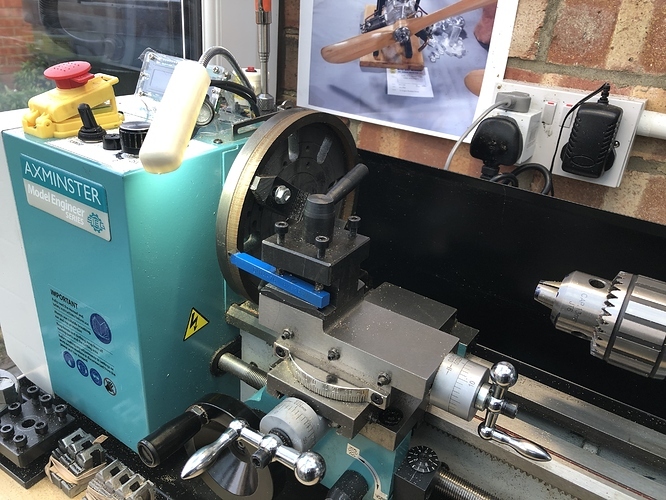 Does anyone know of a replacement cross slide or modification to the existing one that can increase the capacity of this lathe to at or near its potential capacity? 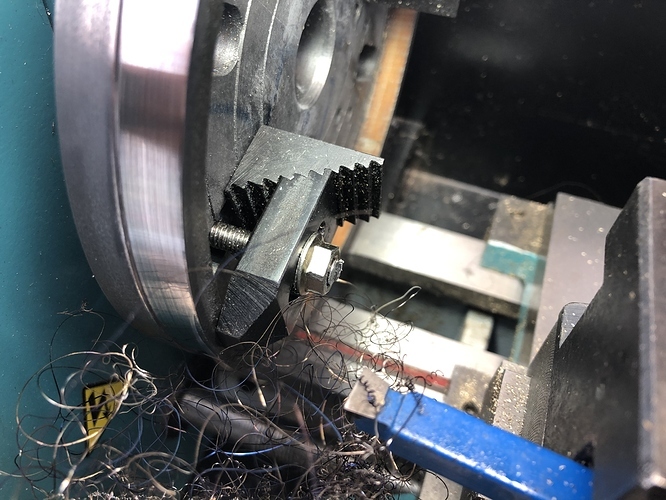 I was able to manage turning the steel ring that presses onto the brass flywheel by using the back of the tool post along with cranking the cross slide all the way back. To turn the ID I mounted the part on a backing plate with an engineering quality adhesive. I was amazed at how well the adhesive held while taking 1/2 mm passes! In these images I had dogged down the ring to turn the OD whilst the adhesive was setting up.